TOMORROW, Friday November 16, sees Tommy Tiernan release his new DVD, Under The Influence, recorded at the Water Rats Venue, Kings Cross, London. In this show, Tommy dances around the stage like a hunchbacked Mick Jagger and uses language like the drunken offspring of Patrick Kavanagh and St Brigid, weaving a tapestry of chaos, empathy, and life loving wit. Funny true stories and wild imaginings go hand in hand in this latest offering from this particular failed priest. 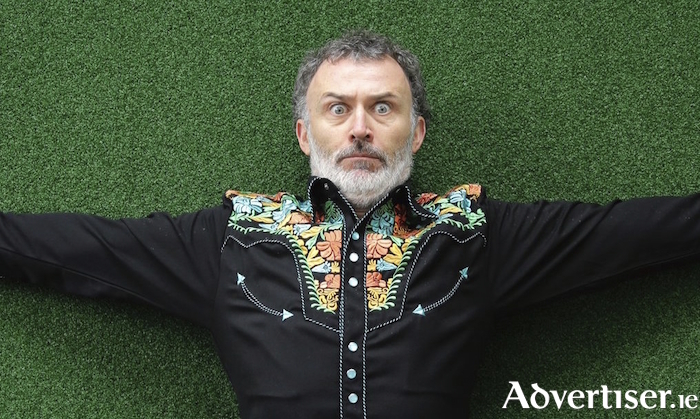 Tommy Tiernan - Under The Influence is €14.99 and available from all good retails stores nationwide from tomorrow. Vodafone Comedy Carnival 2018 - what are you going to see? Adam Burke - The Big, Happy Head On Ya! Page generated in 0.0793 seconds.